The Gutenberg Research College (GRC) of Johannes Gutenberg University Mainz (JGU) has awarded the 2018 Gutenberg Research Award jointly to Professor Adela Yarbro Collins and Professor John J. Collins of Yale University. The GRC is thus recognizing the remarkable work undertaken by these two American theologians and their exceptional international reputation. "Both Adela Yarbro Collins and John J. Collins have made significant contributions to research into the history and literature of early Judaism and early Christianity," stated Professor Thomas Hieke, Director of the Gutenberg Research College. "Mainz will be welcoming two of the most eminent researchers in the fields of theology and the history of religion." The GRC as the core institution for the promotion of cutting-edge research at JGU has been granting the Gutenberg Research Award annually since 2012. The prize of EUR 10,000 goes to internationally outstanding academics doing top-level research in various fields. The two American theologians will receive the award during this year's annual celebration of the GRC on May 28. 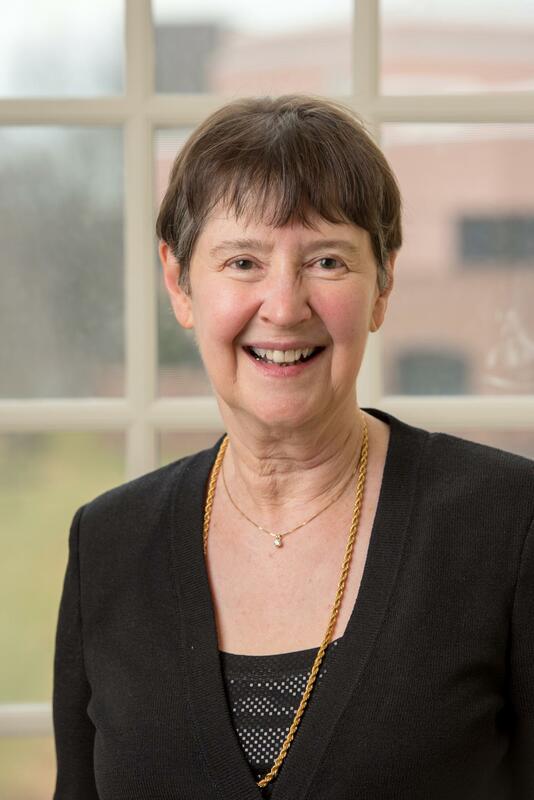 Both award winners have been professors at Yale University since 2000: Adela Yarbro Collins specializes in New Testament Studies and John J. Collins in Old Testament Studies. They previously worked at the University of Chicago and the University of Notre Dame. Both have been active as chairpersons of various leading research associations and conferences in addition to their actual research and teaching activities. "Their excellence in research and teaching has made it possible for both to be appointed to top posts in their own fields at excellent American universities," emphasized Hieke. John J. Collins, born in 1946, published his ground-breaking work "The Apocalyptic Imagination" in 1984. This book and his commentary on the Book of Daniel in the Hebrew Bible are now considered classics. Adela Yarbro Collins was born in 1945. Her first published book "The Combat Myth in the Book of Revelation," which appeared in 1976, had a major impact on research into the New Testament and early Christianity. Thereafter, she immersed herself in the Revelation of John and dedicated herself to the Gospel according to Mark. Both, Adela Yarbro Collins and John J. Collins, are still working on the important phenomenon of apocalypticism in Early Judaism and Early Christianity. "Having Adela Yarbro Collins and John J. Collins with us will draw the attention of various institutions of theology and related disciplines to the theological research at Mainz University, at both Faculties of Theology," said GRC Director Professor Thomas Hieke. In the days before and after the GRC event, the winners of the 2018 Gutenberg Research Award will hold lectures and workshops. On Saturday, May 26, they will be speaking at the Rhine-Main Exegesis Meeting at the Sankt Georgen Graduate School of Philosophy and Theology in Frankfurt am Main. On Monday, May 28, they will give short talks during the annual celebration in Mainz. On Tuesday, May 29, doctoral candidates and students of both Faculties of Theology at JGU will be able to consult with them.